With the exception of the track entitled The Winged Ones all of the music on this album was composed on four Novation synthesizers and one Emu Audity 2000 synthesizer running via a Mac computer in real time and then mixing to one stereo track on a hard disk recorder. I love to work this way as everything is always in a fluid state allowing me to edit and mix as the composition is evolving. Even when I am happy with every aspect I still have several attempts at mixdown because many of the low frequency oscillators used for modulating filters and other parameters are free runningthis results in the sounds behaving differently every time the composition is played in real time. I have to create many versions of the mix until I have captured the one that I'm happiest with. The final mix on CD is therefore unique and would never be able to be recorded in the same way again. As with all of my electronic music I like to use sounds that I have created from scratch. I consider this a very important part of the composition process when using electronic instruments. Many of the sounds inspire the composition process itself. I enjoy erasing all of the "factory" sounds that synthesizers come with and replacing them with my own creations. Lately I have also leaned heavily towards synthesizers and much less on samplers. All of the vocal, insect and forest-type sounds (in addition to everything else) are generated by oscillators and filters only. They sound almost like samples but not quite. This, to me, gives surrealism unachievable with straight sampling or sound effects. I have treated the percussion/rhythmic parts in much the same way, creating them, again from oscillators and filters, as a kind of gamelan/Asian but not in any literal sensea blurred imagery of sorts. An attempt I guess to create an atmosphere and unreal landscape that the listener can create their own thoughts and images upon. On the track The Winged Ones the only "graphic" sampling I've used is a recording I made in 1975 of pilgrims crossing the Ganges in a boat in the holy Indian town of Rishikesh. This is mixed at a very low level in the final section of the composition. 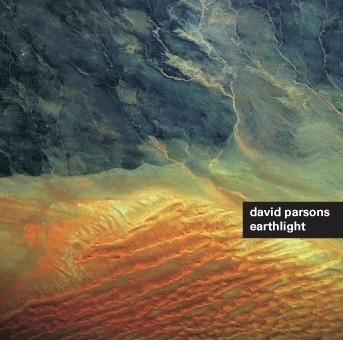 From his homeland in New Zealand, David Parsons travels frequently to Asia for spiritual and musical inspiration. After collecting musical samples and studying different musical and cultural traditions, Parsons returns to his studio to integrate these influences with his own experiences. In the process, he bridges disparate elements with seamless grace, and creates a unique musical affirmation of our common humanity and cultural endowment. Parsons has been a student of Indian music, studying with Dr. Krishna Chakravarty (Ananda 17046, Dancing to the Flute 13135, and Circular Dance 13133-2), whose recordings he produced. Parsons' recordings make the Eastern sensibility comprehensible to the Western listener and formulate a unique and captivating new expression. To Parsons' credit as a musician, composer and performer, he has evolved into a rare and highly acclaimed producer of cultural music traditions. His work is often featured in film, television and radio scores, and continues to be widely praised by reviewers. 3 Beyond the Light 5'01"
5 The Winged Ones 7'32"